Strangely, I found a way in which the two do mix. 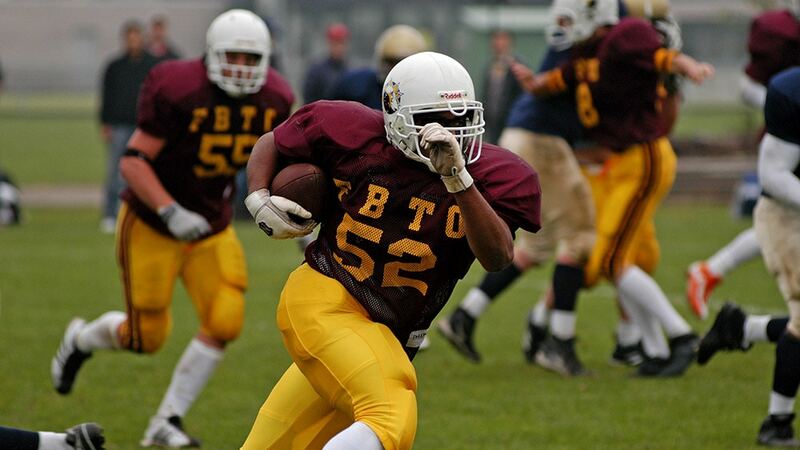 A couple of weeks ago an old school friend invited me to come and watch the training of his American Football team. People that know me will probably laugh out loud when they try to picture me on the field. I can’t blame them. That’s why I went on to look if there were other things I could do for the club, instead of being run into the ground by enemy linebackers. It turns out there may be a spot for me as team photographer, which can be a sport in it’s own, when you have to lug around a couple of kilo’s worth of camera and lenses around the field for three hours.